This morning I heard a horrifying story. Allegedly, in stop-and-go traffic, a driver, “A,” stopped quickly, and driver,“B,” behind him slammed on his brakes a bit too late. Allegedly, B’s car hit A’s, and damaged his back bumper. No one was hurt. Allegedly, driver A, like a keg of dynamite that had just been lit, exploded! He stormed out of his car, grabbed a thick metal pipe from his trunk, and raced with a full head of steam to B’s car, yelling every obscenity in the book, as he began smashing B’s car side window, in order to break through the glass (which he did) to injure/kill Driver B. Allegedly, Driver A was taken into custody by the police shortly thereafter. 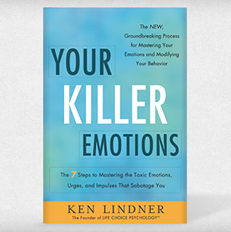 Over the past 30 years, I have counseled thousands of individuals to master their toxic emotions. One thing that I have learned during this time, is that: If you let your potentially toxic emotions (rage, hurt, hate, fear, hopelessness, rejection and the like) overtake and hijack you, your best judgment, and your reasoning processes, terrible life choices and irreparable damage may well be the result. *First and foremost: DO NOT make a decision or act when you are overcome by emotions! Always, stop, cool down, and, as they say, “take the pause that refreshes.” Additionally, DO NOT opt for an immediate, emotional quick fix, response, or retaliation. (As driver A did.) Oftentimes, we opt for these short-term satisfactions, but in the big picture of our lives, these unthinking, emotion-generated reactions are counter and highly detrimental to accomplishing what we truly want for ourselves in the long term (our Gold Ring Dreams). *Never reflexively or unthinkingly act when you are angry or enraged! *ALWAYS strategically identify what you truly want in and from the choice you’re going to make and any action(s) that you will/may take. This means that you must know what you truly value the very most before you make your choices. This way, you will make well-thought-out choices that reflect and effect your most treasured values and goals. -The most positive, beneficial outcome(s) that you will secure because you took the requisite time to strategically choose the most constructive course of action. 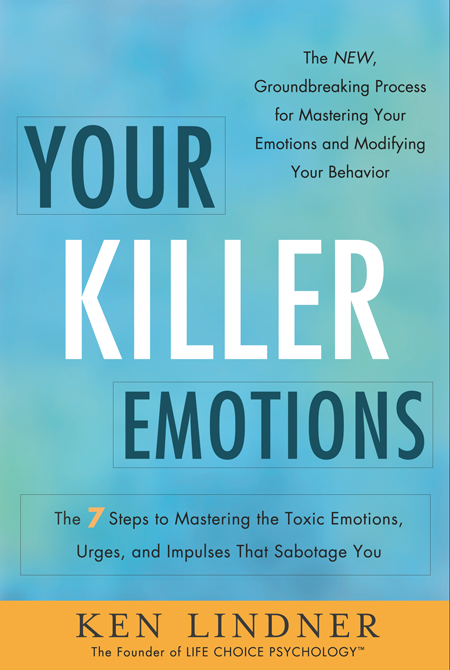 *If it is appropriate, try to truly understand where the other individual who is pushing your emotional buttons or evoking a potential toxic emotion-generated response from you is coming from. Strive to see things from their point of view. Chat with the person in issue, in an open and non-defensive manner. Oftentimes, learning where others are coming from brings understanding, as well as sympathy/empathy, which can diffuse and thereby lessen the strong energy charges generated by potentially toxic emotions. *Another means to diffuse your emotion-generated energy charges, is to take a moment to think about all of the blessings and positives in your life/job/career. In this case, driver A could have taken time to truly appreciate the fact that he wasn’t injured and that the accident could have been much worse. This can help you to cool down from the angst of the moment, so that you are then better able to think clearly and strategically. *You should avoid making important or potentially pivotal choices when you are tired, experiencing high levels of stress, or have had too much caffeine. Additionally, you never want to make important choices and/or act when you are under the influence of alcohol or clarity-impairing medicinal or recreational drugs. Your goal is to be cognitively clear and precise when making your choices. Therefore, you want to stay away from anything that can impair your cognitive processes. Your takeaway here, is that there will be times when you will experience potentially toxic emotions such as extreme anger or rage. I use the word “potentially,” because these emotions are toxic to you, if they trigger destructive and/or self-sabotaging acts on your part. What you want to do in these instances, is to not emotionally react in these situations, but to instead, strategically and constructively choose your actions. Channel the potential negative energies that you experience into positive endeavors – thereby using your emotions and their energy charges as your valuable allies. The sweet result may well be that you will act appropriately and constructively by preserving and/or enhancing the things that you hold most dear, as well as gain (increased) feelings of high self-esteem, self-worth, and the core-confidence to achieve your most cherished goals.